A fine 1.2 mm Solid Sterling Silver Cable Chain. 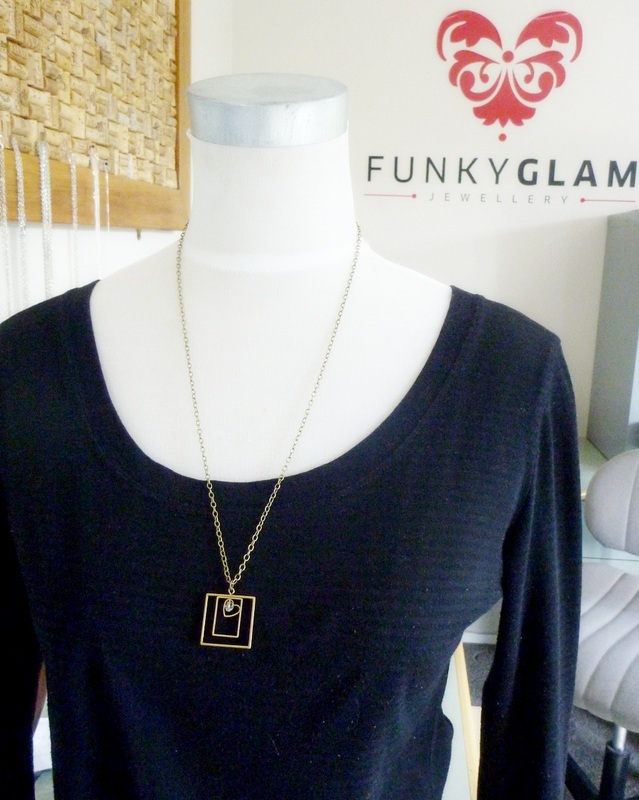 Gorgeous with small to medium sized pendants. .925 stamped on the clasp. 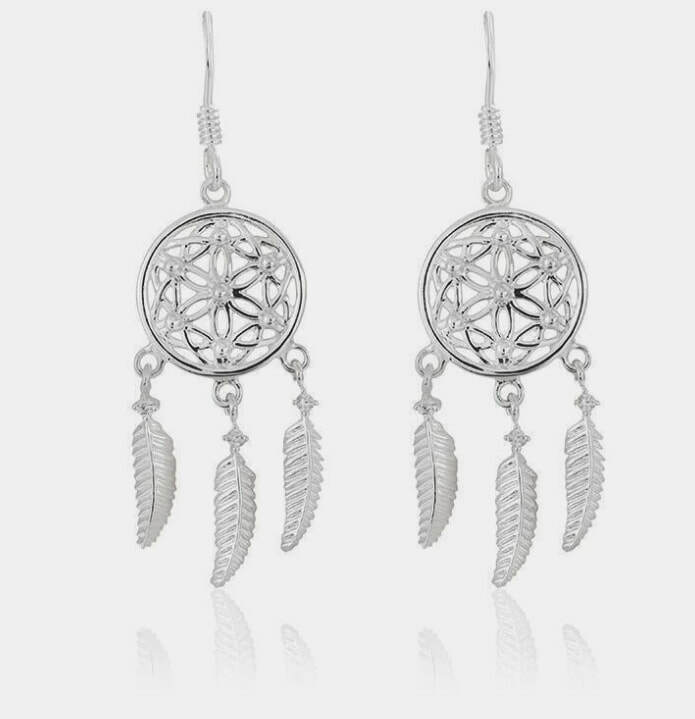 This gorgeous Sterling Silver set can be bought separately or together for an even bigger discount. The earrings have a total drop of approx 40mm from the top of the lovely fine ear-wire. 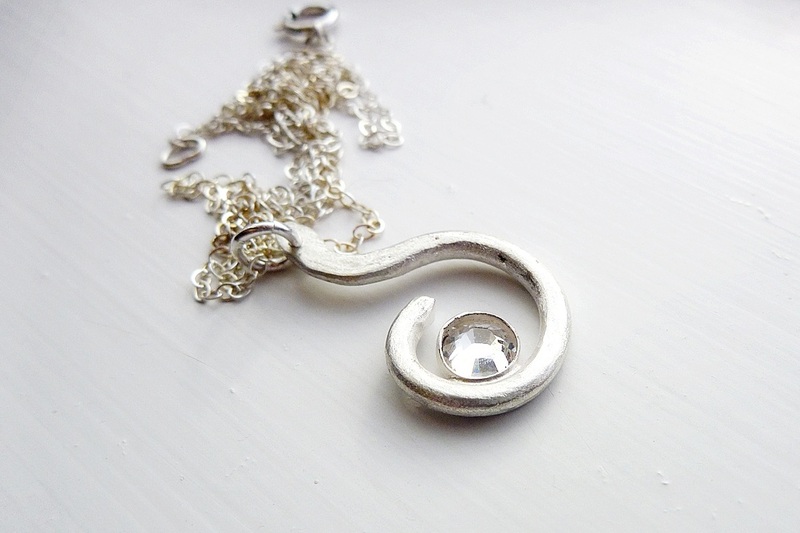 The pendant comes on a gorgeous fine 45cm sterling silver link chain. 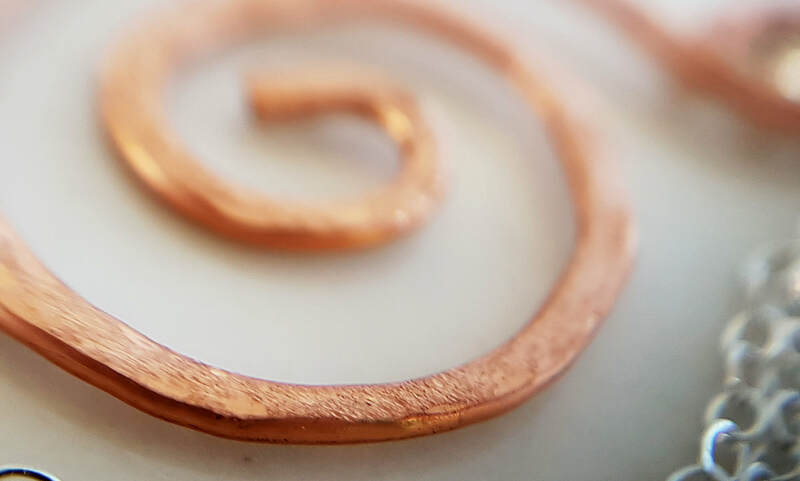 The circular filigree part for all pieces is approx 12mm across. 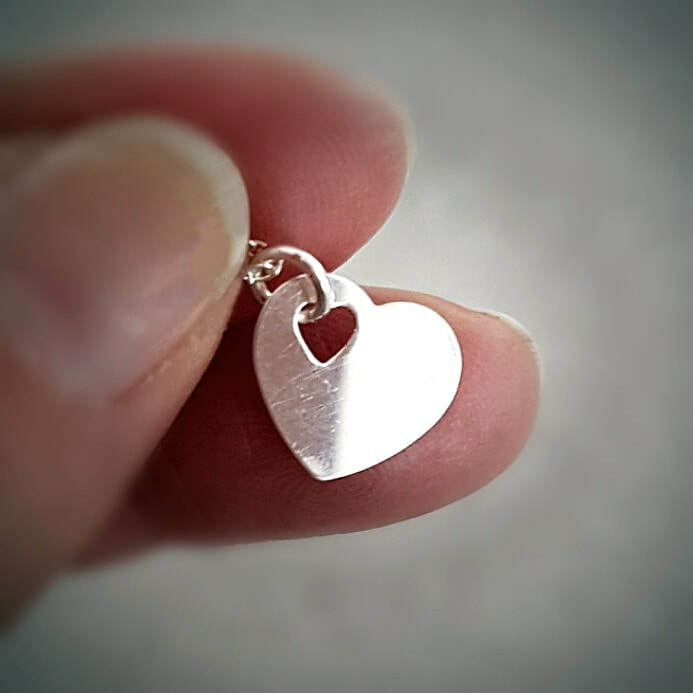 This gorgeous wee Solid Sterling Silver heart is available with or without the matching Sterling silver chain. 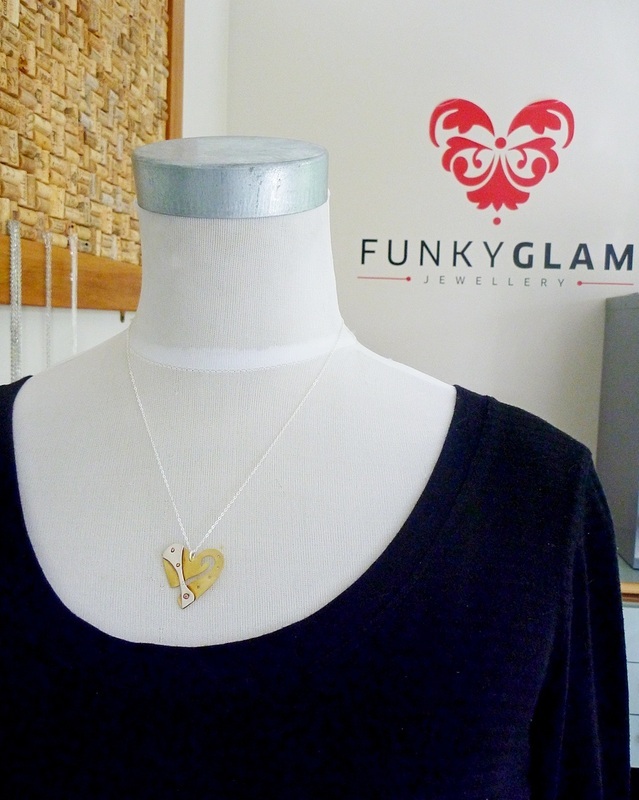 A Sterling silver jump-ring passes through the Heart cut out, to hang it securely to a chain. 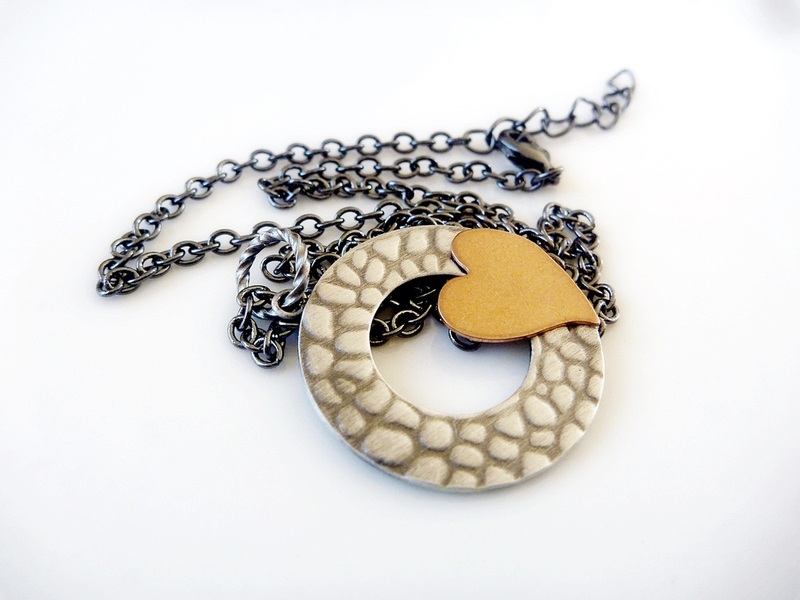 Choose your chain or "no chain" option before you place it in your shopping cart. Price will adjust with your choice. This is for the Pendant only. 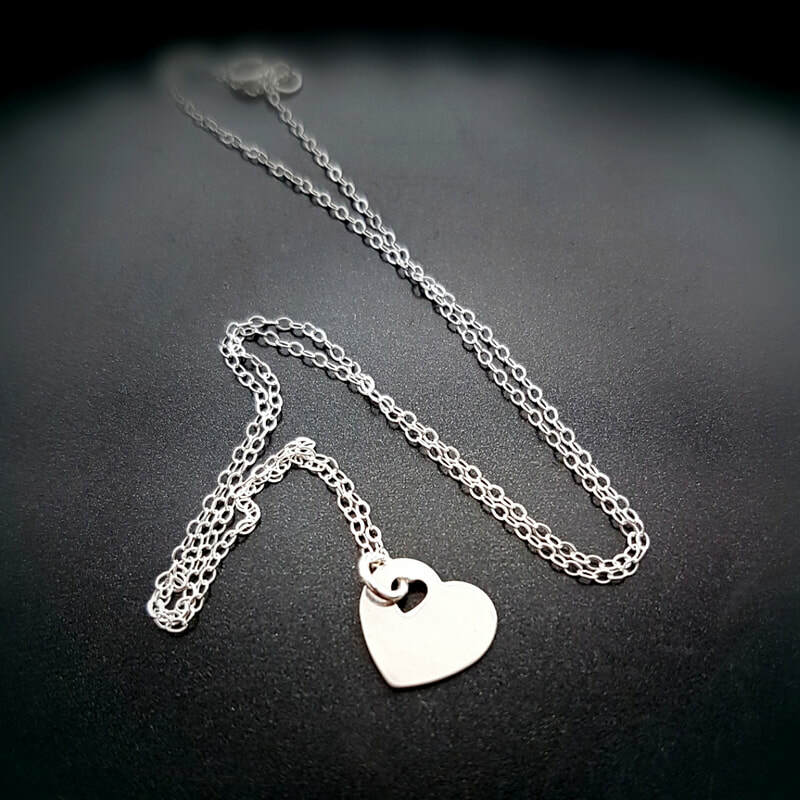 A fine Sterling Silver Chain is available for purchase separately at the top this page. I have shown it on one of my gold chains to show how it can bring out the colours. 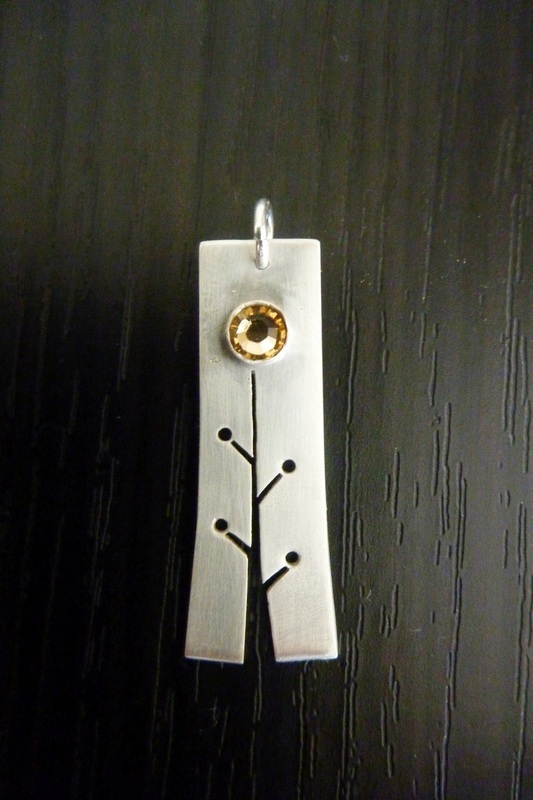 This gorgeous hand cut piece of Sterling silver is about 3.5cm long which I have hand beaten, drilled & antiqued. 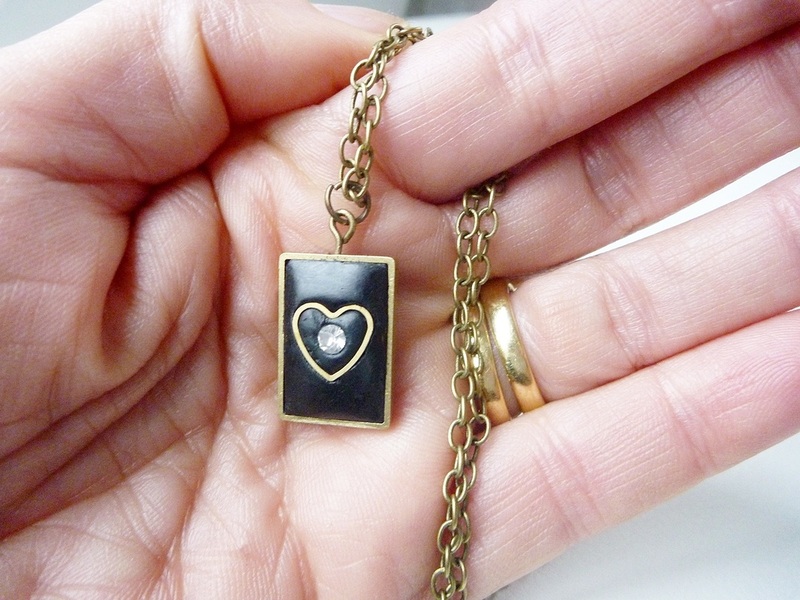 Then hand formed a small brass bezel to set the Topaz Swarovski crystal. 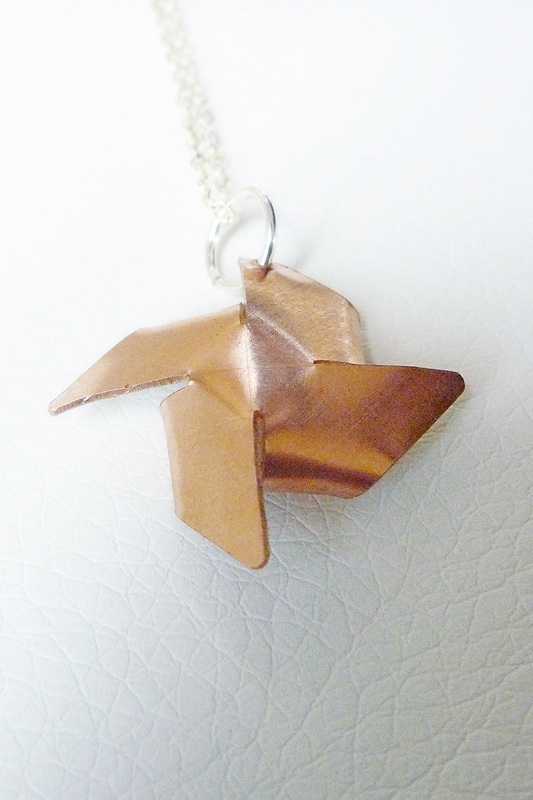 This gorgeous funky wee pinwheel has been hand cut and formed from solid sterling silver and copper that has been bonded together. Strung on a 46cm fine Sterling Silver chain. The pinwheel measures approx 2.5cm across the tips. All edges have been hand polished to form smooth edges and to take off any sharp points. Due to its hand crafted nature, each one may vary slightly. 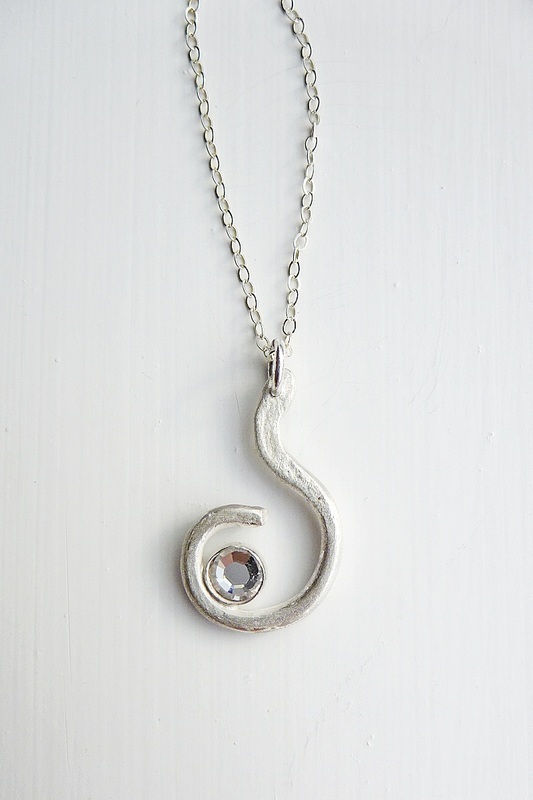 This is a hand forged Sterling Silver Scroll with a stunning Austrian Swarovski crystal. I have hand buffed to give a slightly matte textured look which enhances the sparkle of the crystal. 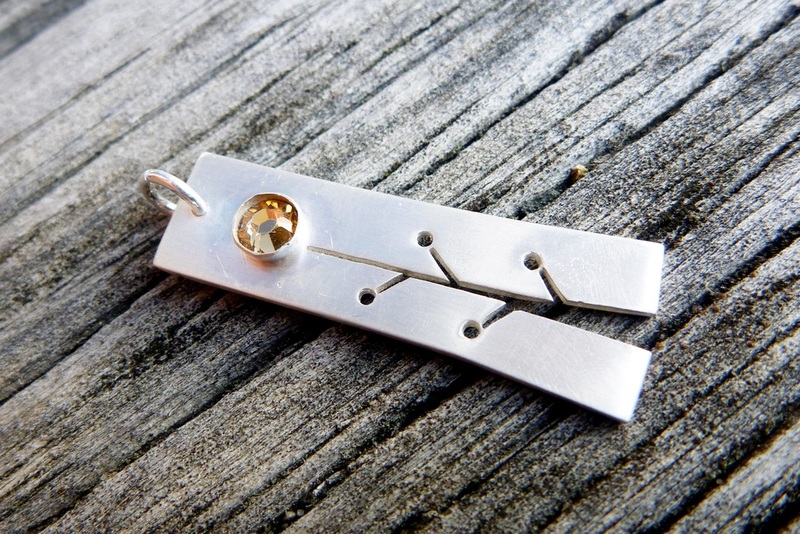 The total drop is about 2cm and is strung on a 46cm fine Sterling Silver cable chain. Due to its hand made nature, each one I make may differ slightly. 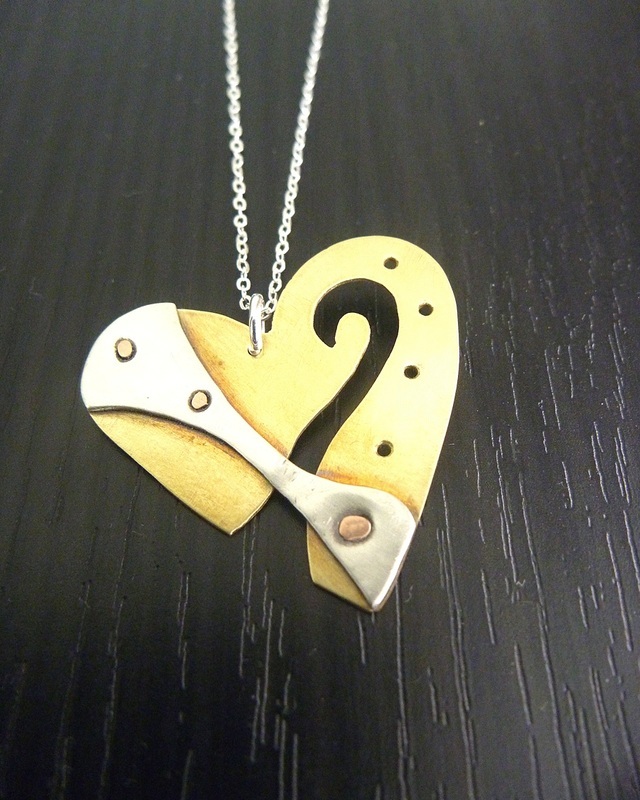 This quirky wee pendant is hand cut, soldered and polished to a lovely satin finish. 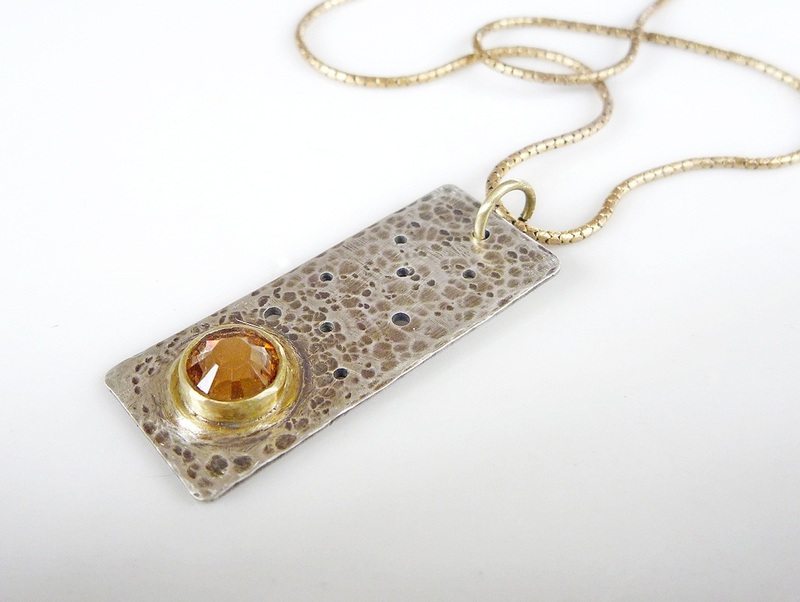 Nestled into the bezel is a stunning golden topaz Austrian Swarovski crystal. This measures approx 3cm long. Made to order, I can make one of these with a different coloured crystal. ie: clear, red, purple, green, black. Due to its hand made nature, each one I make will differ slightly and have an "Artisan" flare to it. This is for the Pendant only. 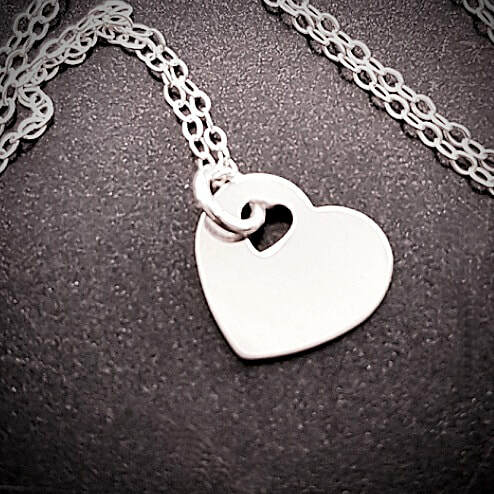 A fine Sterling Silver Chain is available for purchase separately at the top this page. I have hand cut each piece with a fine jewellers saw and carefully soldered together and added a small genuine Austrian Swarovski crystal. I have also lightly antiqued this to make the petals pop. 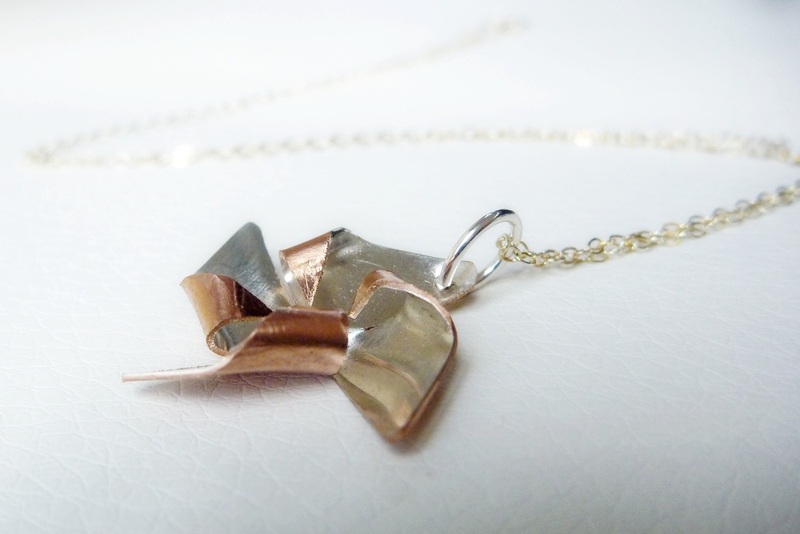 The sterling silver, copper and brass work well together 'hinting' at luxurious gold and rose gold without the huge price tag.. 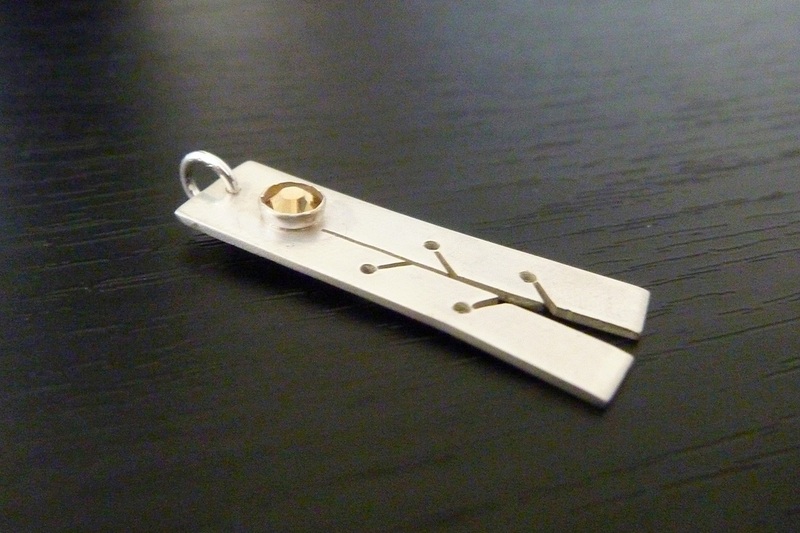 The pendant is just under 4cm long. Each one I make will differ slightly due to its hand forged nature. These precious metals will tarnish over time but will return to the original lovely silky sheen with a good silver polish cloth. Available for purchase separately at the bottom of this page. I am happy to custom make ie: all silver including the flower or a different combination of metals or even a different coloured crystal. Feel free to contact me to discuss options or size. 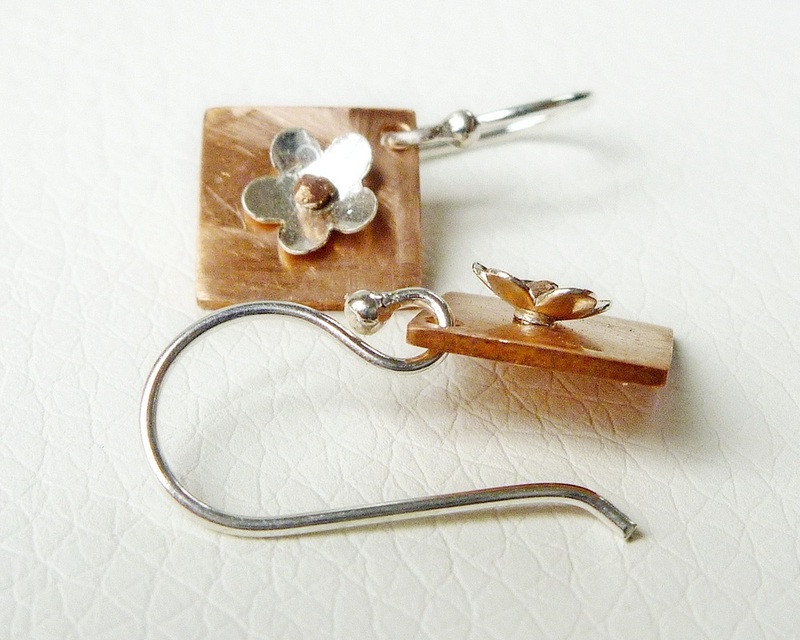 ese hand brushed and drilled copper squares are 10mm x 10mm and hung from a corner on solid sterling silver ear hooks. 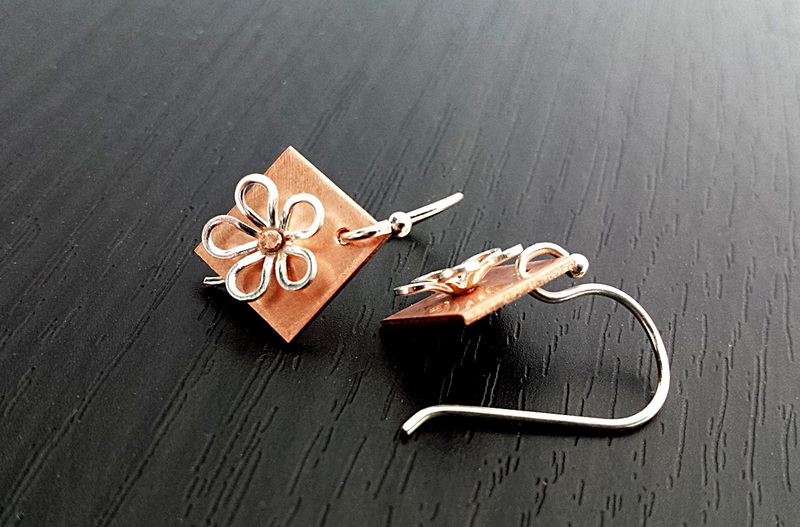 The wee cupped flower is also solid sterling silver and is hand riveted with copper. 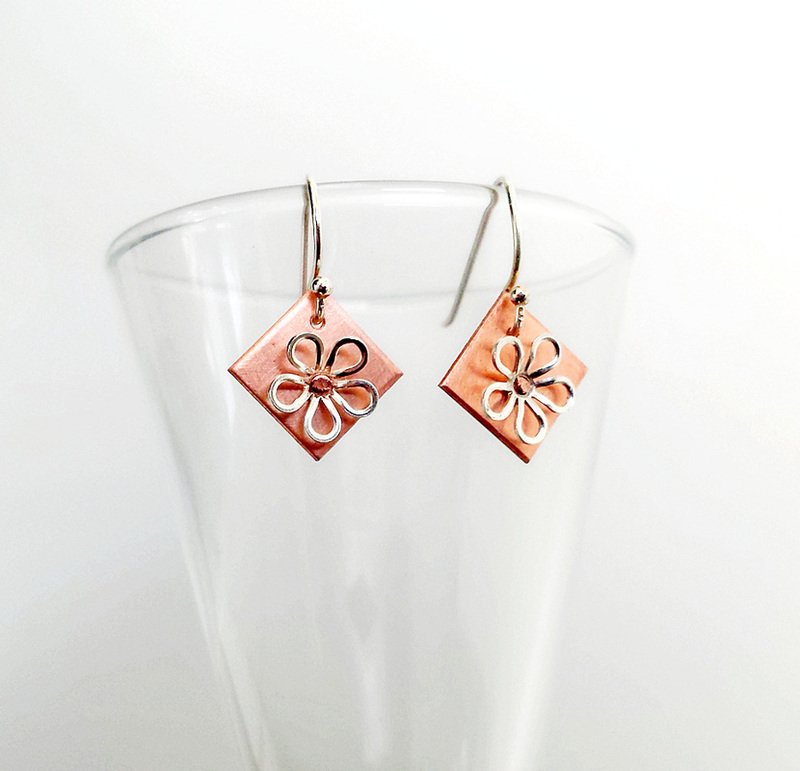 The copper will take on a natural darkened patina over time. Jewellery polishing cloths are also available at the bottom of this page. 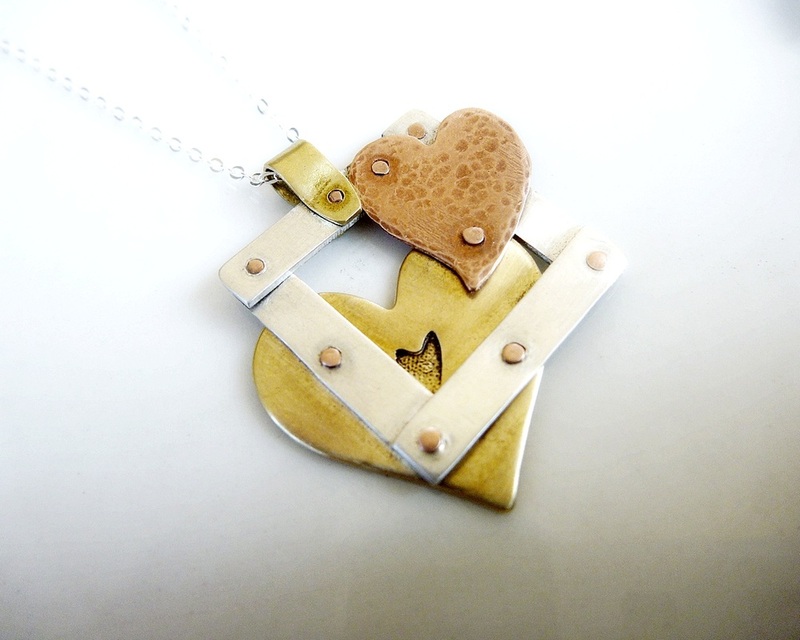 A funky combination of Solid Sterling silver, stamped brass and hammered copper all hand cut with a jewellers saw and held together with hand made copper rivets. 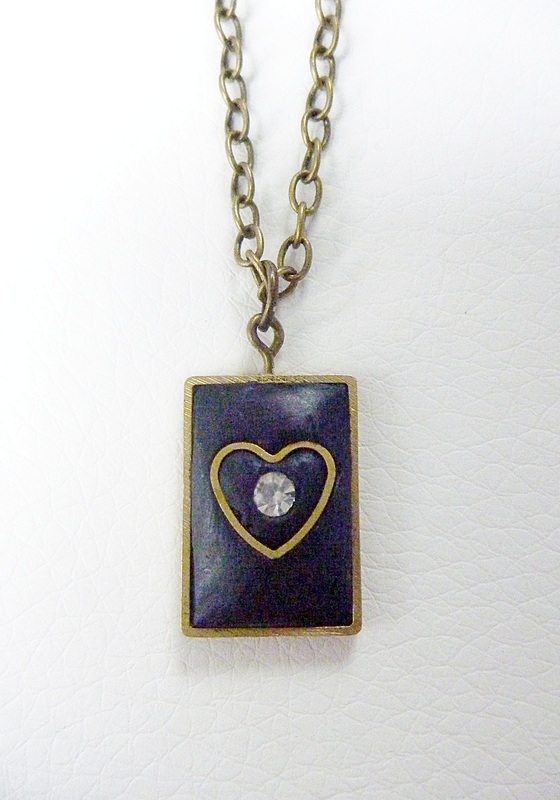 The sterling silver frame is approx 2cm square. Contact me if you would like something else unique made. 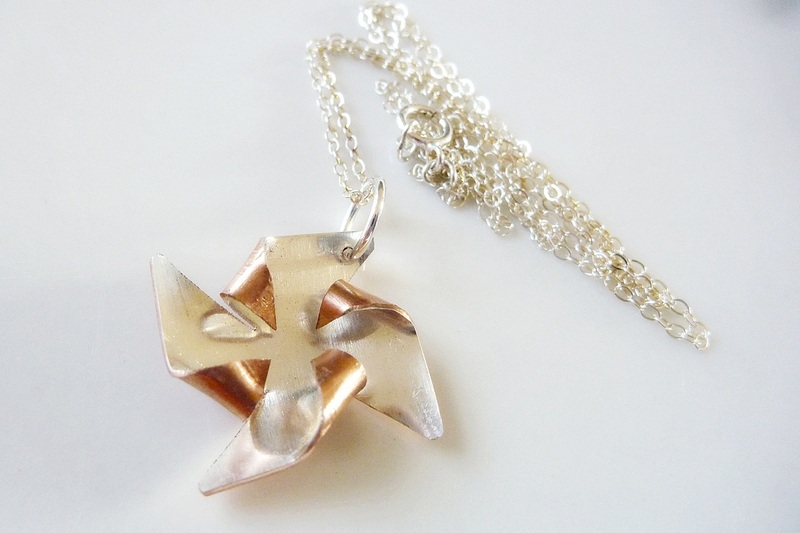 I have created this unique wee pendant using a combination of solid Brass cut shapes, Sculpturing clay and a stunning Austrian Crystal. It measures about 19 x 13mm and comes on 50cm of matching lead and nickel free cable chain. I can make the chain to any length. Contact me if you want it altered. 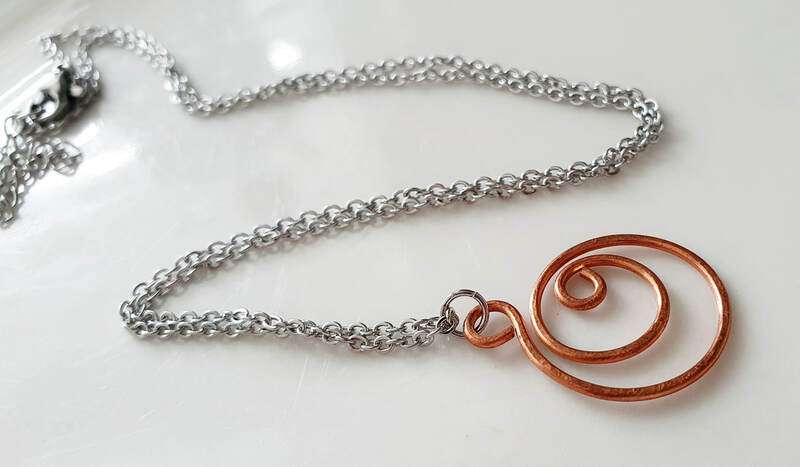 This is for the Copper Pendant only. 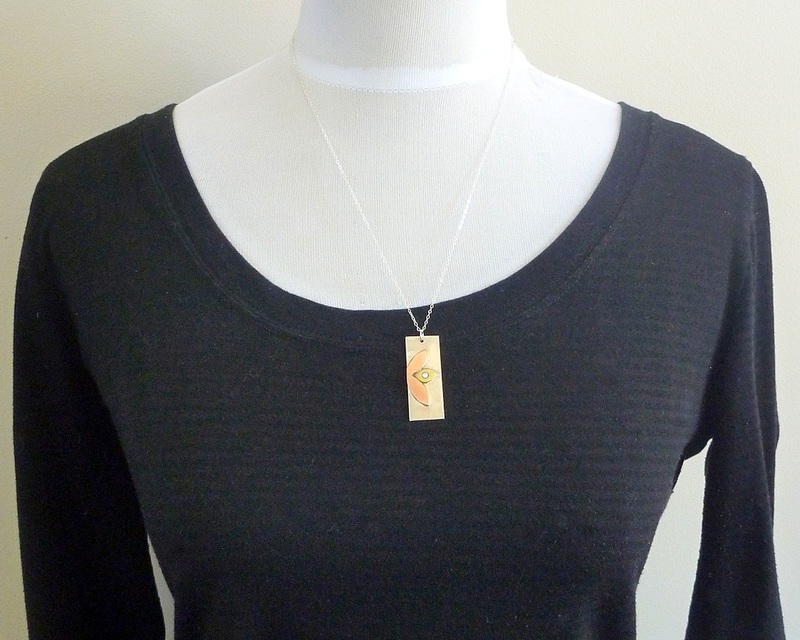 The fine Sterling Silver Chain shown is available for purchase separately at the top this page. 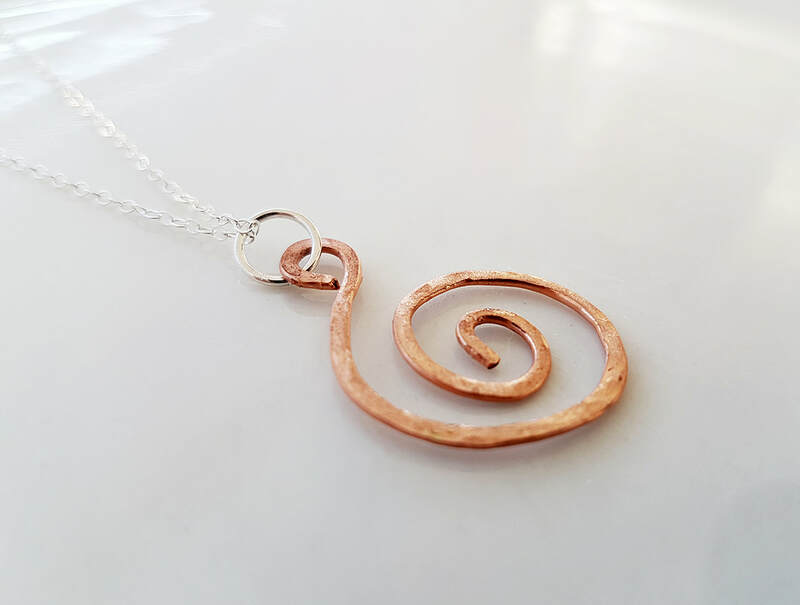 A solid copper coil has been hand formed and hammered to give it a subtle shimmery texture and the quirky organic look of hand made. 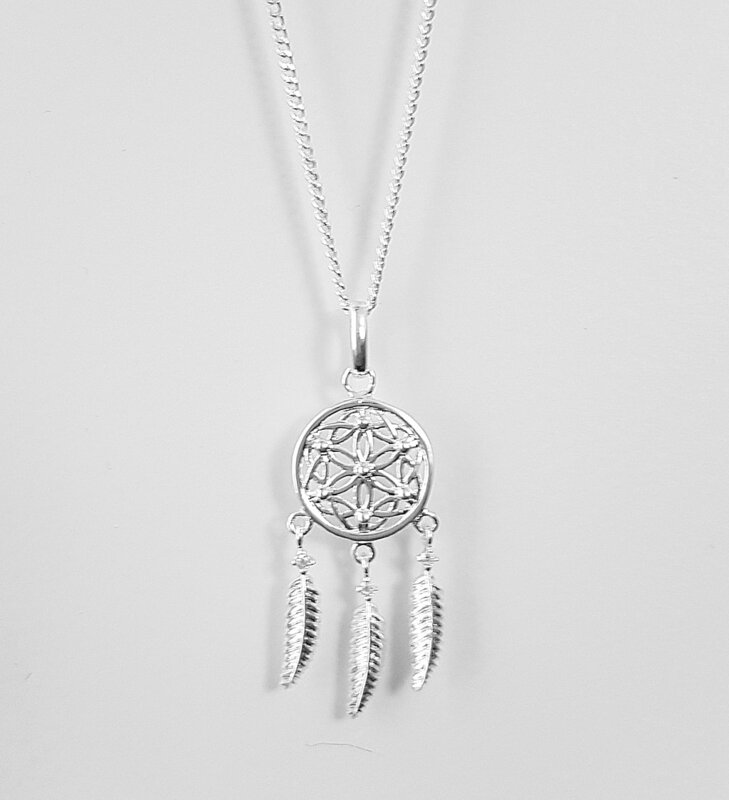 Measures approx 3cm long and comes with a solid sterling silver top loop. I can swap this for a copper top loop on request. Due to its hand made nature, each one will vary slightly. 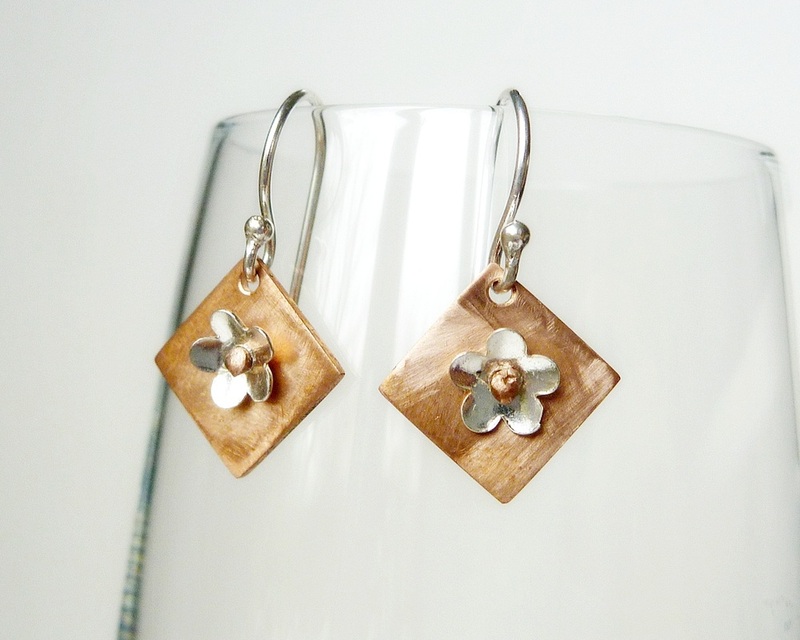 Copper gives a similar warm tone to rose gold, without the hefty price! A Silver polishing cloth is available for purchase at the bottom of this page. I have hand cut this gorgeous heart at approx 3cm wide. 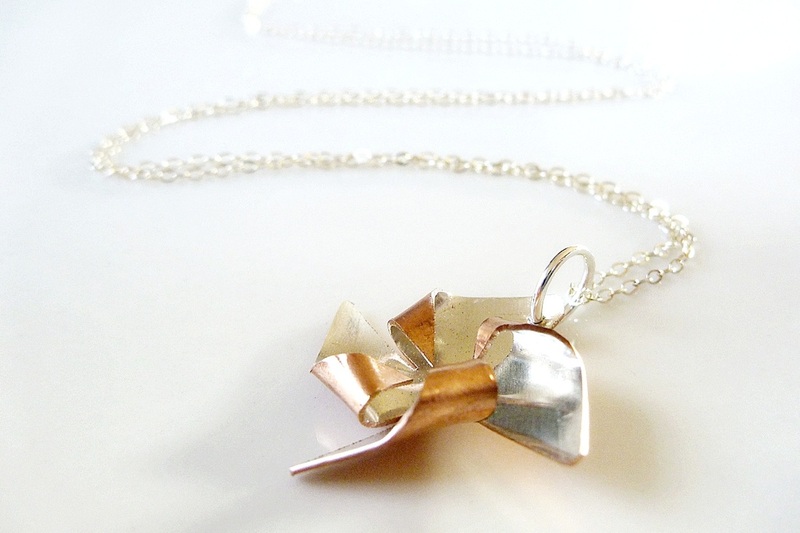 The lovely hand polished piece of solid sterling silver has been attached with hand made copper rivets. Then all very slightly antiqued to bring out the layers. 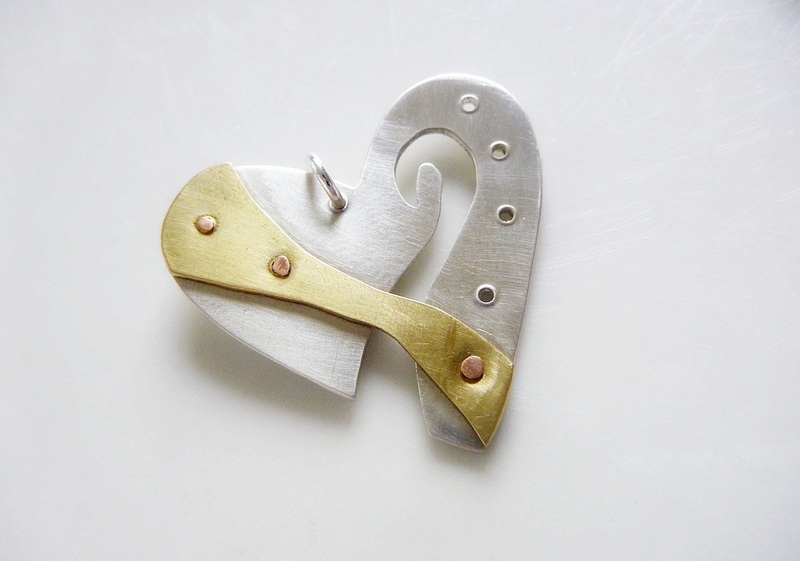 A piece that will get noticed with its unique mixed metals Artisan look. Contact me if you would like something unique made. 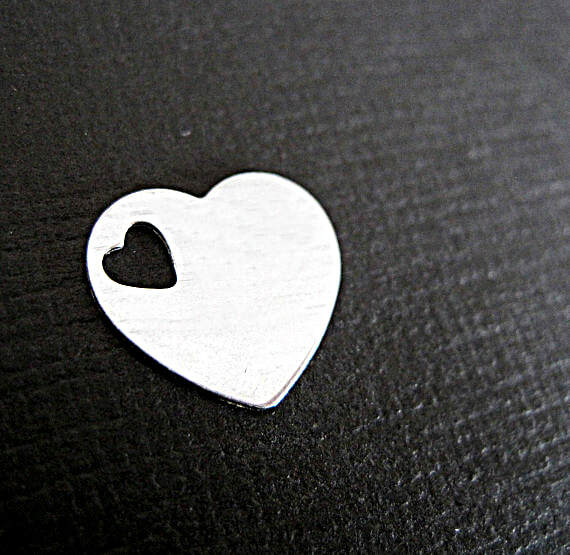 I have hand cut this gorgeous Sterling Silver heart at approx 3cm wide. 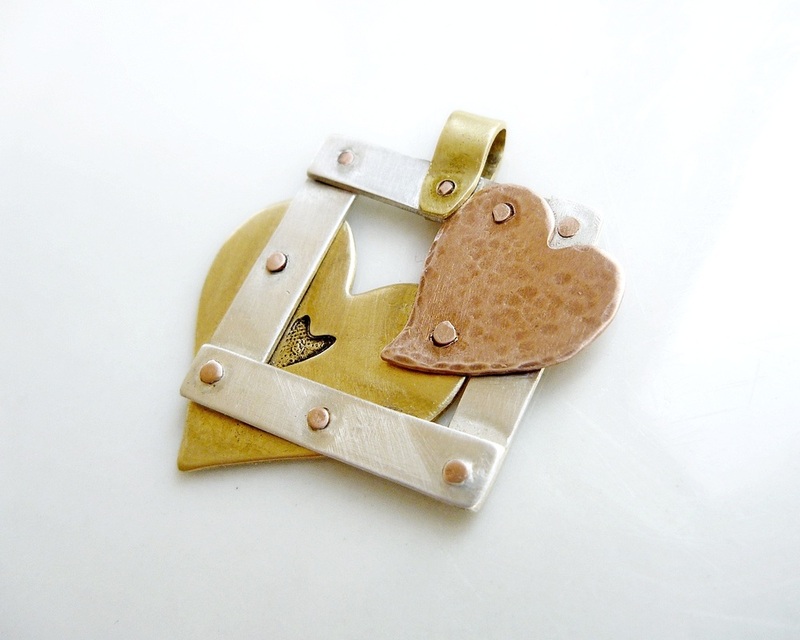 The lovely hand polished piece of solid brass has been attached with hand made copper rivets. 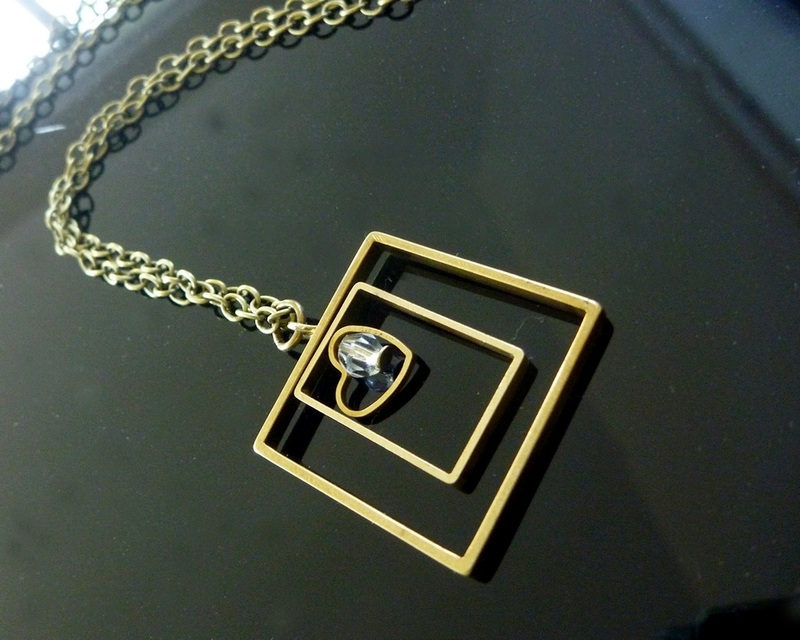 A cool combination of solid brass cut shapes and a central faceted crystal. Strung on a 60cm antiqued brass chain. Contact me if you want this length altered at no extra cost . 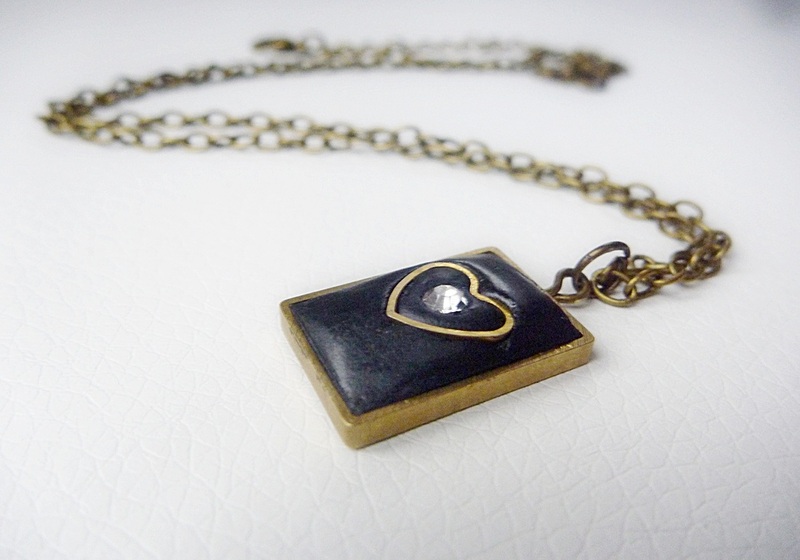 The outer brass square is 2.5cm x 2.5cm. All edges have been smoothed and polished. This will take on a natural patina over time, but will polish back to its original colour with a good jewellery cloth. Available for purchase below. 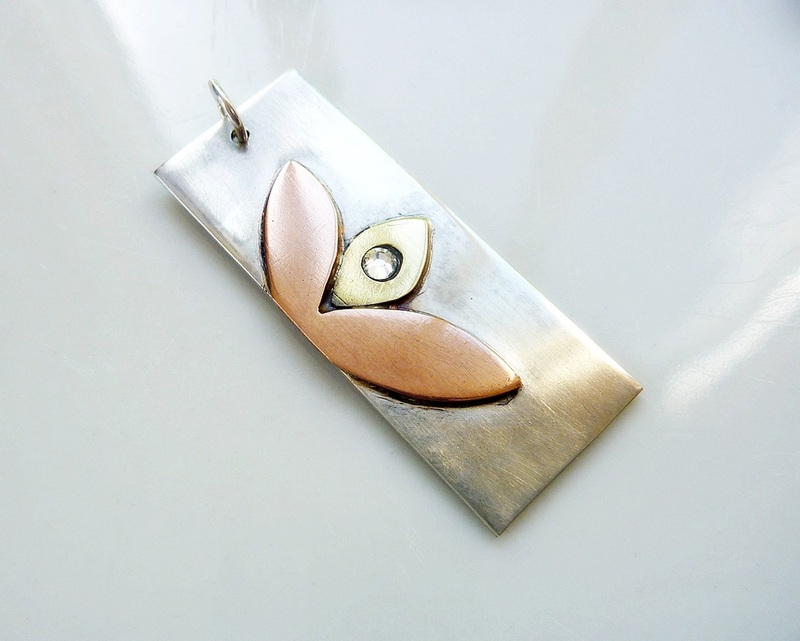 This is a gorgeous combination of antiqued silver steel, copper and gunmetal. 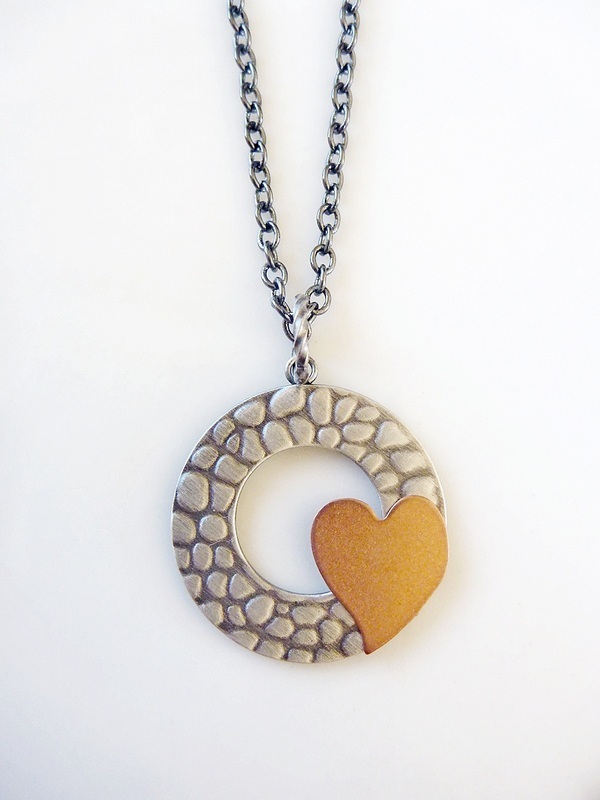 The hammered and brushed steel circle is about 2.5cm wide and a cute solid copper heart is the focal point. 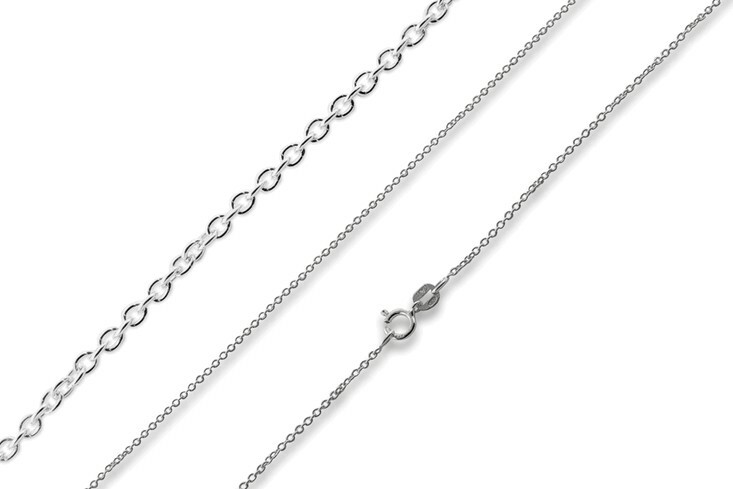 The stunning dark silver (gunmetal) cable chain has an extension chain for adjustment. This non-staining and easy-to-use cloth removes tarnish from precious metals such as gold, silver, brass and copper. Just rub the surface to be polished with a medium pressure to leave a long lasting lustre.. Each cloth is impregnated with special chemical cleansing agents and non-scratching micro-abrasives. Use until completely darkened, and do not wash. These last for ages.